Oil on canvas, Original size: 50x65 cm. 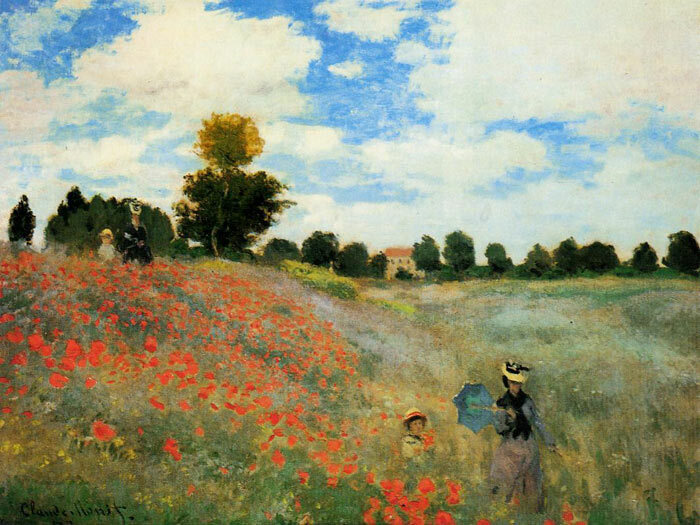 In Claude Monet painting Poppy Field at Argenteuil, there are 2 sets of figures. It could be assumed that the 2 figures are the same people and the painting reflects their movement through the field. Or it could be 2 different sets of people.It is regarded as being Monet's wife and son walking through the field and showing them at different points. SPECIAL NOTE : The painter will make the reproduction as close to the original oil painting as possible. If you want your painting to alter from this likeness, please email us and " Poppies at Argenteuil, 1873	" will be reproduced according to your special requirements.